Florist Up My Street is the fairest and easiest way to order flowers in the UK. 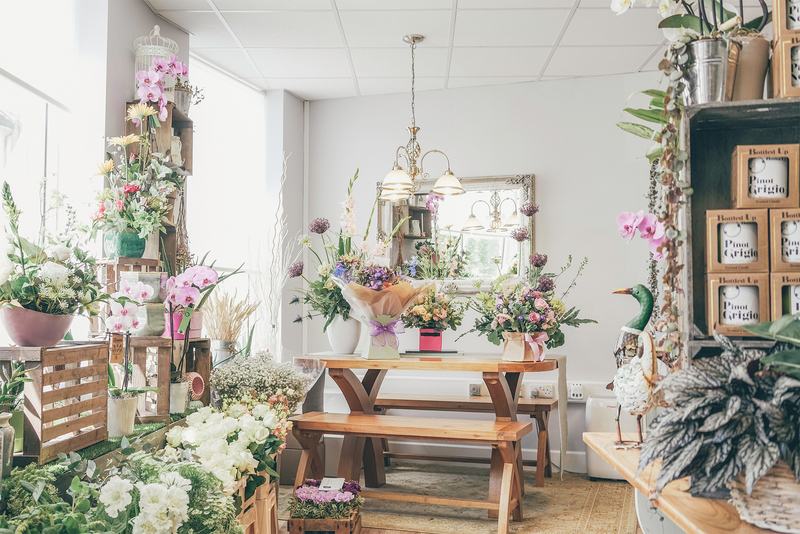 We connect you to top local independent florists who design and deliver the flowers with their unique seasonal styles. 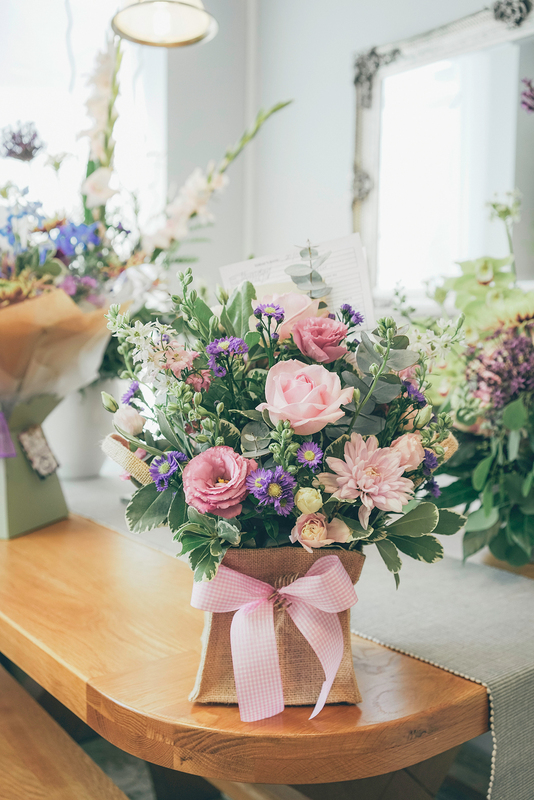 Built by florists to disrupt current online tactics and pack house postage, our fair ethos allows our florist partners to sell their own designs as they would in their shop. This means no silly charges to florists, giving you better designs and a lot more flowers in your bouquet. We have recently extended our flowery service to include local flower subscriptions (nothing through the letterbox that you have to make yourself, but a ready-made local bouquet) and floral experiences (the perfect gift or day out experience). We’re based in Ringwood, just outside of Bournemouth. With our office nestled away in the New Forest, yet close enough to the bustling start up community of Bournemouth, we feel it’s the perfect location for us. Just the right balance of business support and natural influence. Where to start… We’d been brewing the concept for a few years before launching it. We have a strong industry background in UK Wholesale and Dutch import/export of flowers. It was from talking to my customers day in day out and hearing all their complaints about the unfairness of the big household name relays and websites. The constraints they had, along with the huge fees and commissions meant they couldn’t make any profit (sometimes even a loss…). Don’t get me wrong; these services have their place and are great for stock rotation, but there had to be a better way that worked fairly for everyone. 4. What stage was your business at when you applied for the Start Up Loan? We had already launched our alpha and decided how we wanted to improve it. We’ve always said the website and system behind it has been ‘designed by florists for florists’ and we always want to keep it that way. We used the alpha version of the website to build up the feedback needed to make the best Beta version possible and that’s exactly what we’ve used our Start Up Loan to do. 5. How have you used it to grow your business? We set out to make a fair way for florists to sell their unique products online. This is great, and we have done that, but to keep on going we also need to make money. The new development, features and launch has allowed us to create a flexible system with a subscription model, meaning florists can choose the features that suit their needs and budget. 6. Who is your regional delivery partner and how did they help you get a Virgin StartUp loan? Alex Chisnall and all the crew at StartUp U have been a massive help. (If you're based near Bournemouth and apply for a Start Up Loan through Virgin StartUp they'll be the ones you're matched with to help you They supported me during the application where no question was too small. Because we had been trading for a year prior to applying, our application needed to be formatted slightly differently. They helped a lot to get the information we needed across. 7. Biggest achievement so far? So far, it’s definitely earning the trust of florists. We have built up a good network of over 550 florists across the UK. We work with them to promote their uniqueness in a way that works for everyone. Our efforts have gone down well in the floristry world and we look forward to building upon that further. 8. What’s next for your business? PR. We’ve been doing lots of PR, events and promotions to get our brand ‘out there’ and we look forward to doing more. Bigger and better to continue to promote individuality and support our local industry. You never know, we may even look overseas soon!